Microsoft took a page from Sony’s playbook and outfitted the new Xbox 360 with all touch sensitive buttons. The eject button is much smaller but extremely sensitive, not to mention you get a loud beep whenever you hit it. There are no issues with knowing whether or not you hit the eject button. 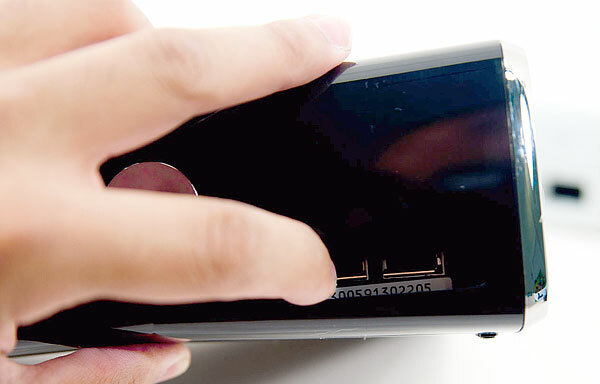 The power button is pretty much the same way, a light tap will toggle it and send you on your way. The green ring of light apparently doesn’t turn red anymore (it only flashes green when there’s a problem? engineering meet marketing). 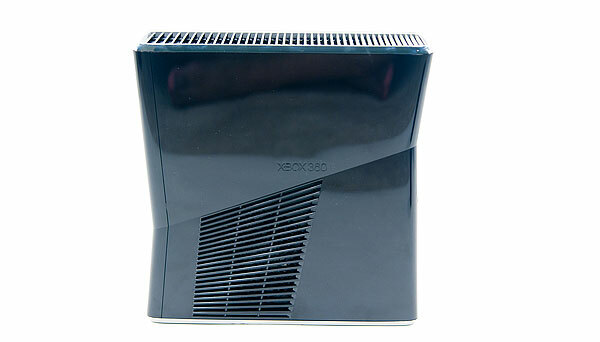 On the bright side like Jasper before it, there is no reason the new Xbox 360 should have the same RRoD problems as the older models. As you’ll see from the dissection not only is it a new chip fabbed on a new process, but it’s apparently cool enough to require much less force exerted on it by the heatsink clamp. The exterior is a glossy black plastic. It looks great but picks up fingerprints and smudges like the dickins. A definite problem for those of you who like to cart your 360s around. 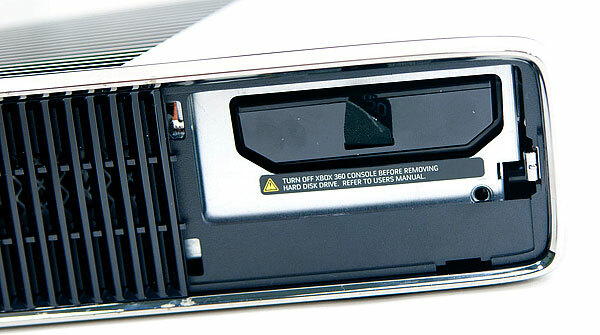 The Xbox 360 memory units are no longer supported but there are two USB ports up front that will accept USB drives as data storage. 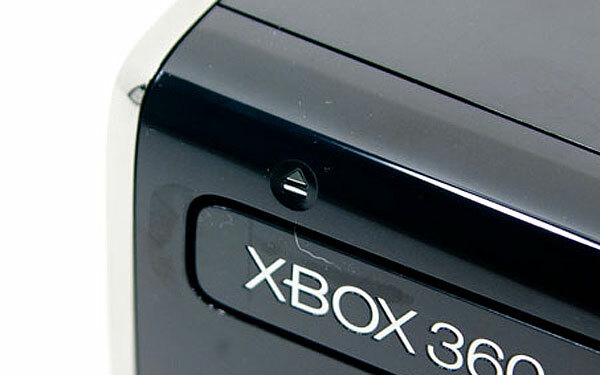 Around back you get an optical audio out, Xbox 360 AV connector, HDMI output, three more USB ports, Ethernet port and input for Microsoft’s Kinect peripheral due out later this year. 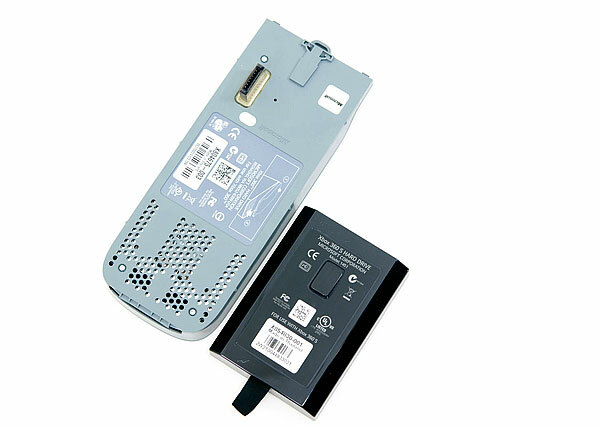 There’s 802.11n support integrated into the new Xbox 360. If you open up the case you’ll see a USB 802.11n adapter plugged into an internal USB port. This also makes me wonder if we’ll see a cheap version of the new 360 without WiFi support. Yanking on the black ribbon (it takes a bit of pulling) will pull out the hard drive itself. 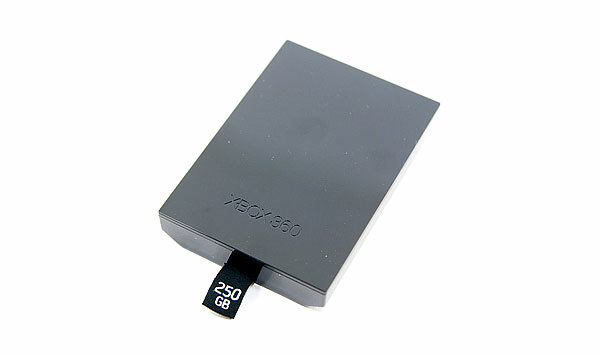 Microsoft appears to have sealed this drive up pretty well. I’m not sure there’s a way to remove the physical drive without irreversibly breaking open the case. I had other ways of figuring out what was inside so I didn’t bother taking this one any further. 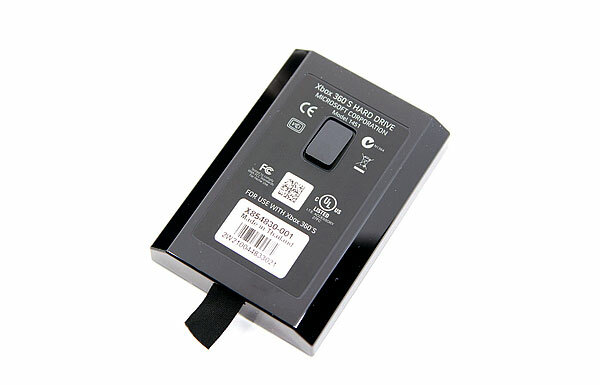 The new hard drive is a Hitachi HTS545025B9SA00 1.5Gbps SATA hard drive. It spins at 5400RPM and has an 8MB buffer. If you were hoping for a 7200 RPM drive, you’re out of luck. The funny part is the hard drive form factor never changed, just the case it came in. ha! that's funny. That's what I get for not paying attention to what I was copying, the load tests were done with a spinning disc in the drive (Halo 3). Honestly, the drive noise on my Jasper isn't an issue for me, as I install my games to the HDD. It's a feature I love because it kills most of the noise, AND it boosts load times significantly. Really, putting the game data on the HDD is the only way I could fill up the drive--I don't use that space for anything else except a demo or two and the game saves. Doesn't that seem a bit sad, though? They couldn't even utilize a proper DVD drive so they just make users dump the game onto their HDDs? You seem to be forgetting that increased density counters the slower spin speed in this regard. Just because a smaller arc of the disk is read in the same period of time doesn't mean more bits aren't in that smaller arc than in the larger arc of a DVD. To answer in more detail, 1X on a DVD refers to 1.32MB/s. Equivalent to a 9X CD speed. 1X Blu-Ray refers to 36MB/s. So about the same as a 27x DVD drive. Yes, despite slower rotational speed, a 1x Blu-Ray drive (and most are 2x since at least 1.5x is required to play a movie at Blu-Ray quality) reads data at a far faster rate than even a 16x DVD drive. To convert from megabits to megabytes you divide by 8. So 1x BluRay = 4.5MB (Megabytes). So a 2x BD drive like the one in the PS3 has a speed of 9MB.